Ugly concrete floors and patios often, unfortunately, go with the territory of a garden. And though it’s usually feasible to break it up and haul it away (or, of course, re-use the urbanite in some creative way on-site), this extra labor isn’t always appealing. So consider this simple, attractive solution by simply by covering it with pebbles and adding a couple of pavers. 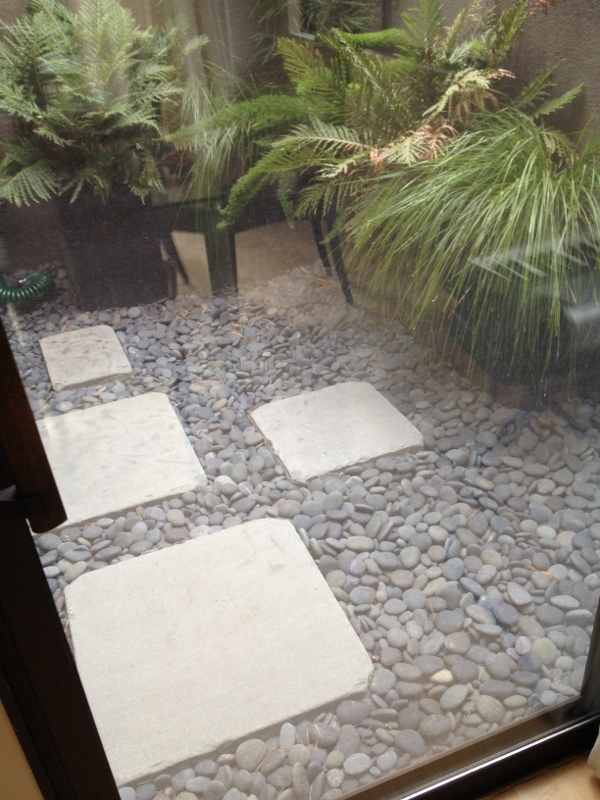 This is an example from a tiny courtyard, but the same quick-fix could be applied in an outdoor space by adding edging to contain the pebbles.